Adapted from an early colonial farmhouse built in the early 20th century it is one of the oldest family lodges in Arusha. 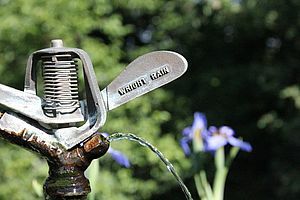 It offers only 10 garden rooms, suits and 2 farm cottages, and provides personal service for its residents since 1974. Ngare Sero Mountain Lodge is set in lush gardens amid forest and crystal clear waters amongst continent’s biggest mountains. 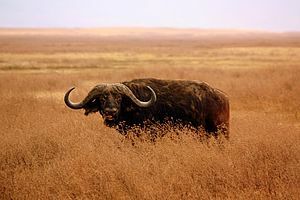 It is the oldest base while on safari in the northern circuit Tanzania and a wonderful place to relax and simmer in the immense beauty of East Africa. Ngare Sero Lodge is located in the fifty acres of forest reserve, lake and beautiful gardens with a very large biodiversity of flora and fauna. Cold water springs rising in the forest feed a crystal clear lake home to many kinds of frogs, fresh water crabs and fish including barbel, sword-tails and trout. Cold water springs rising in the forest feed a crystal clear lake home to many kinds of frogs, fresh water crabs and fish including barbel, sword-tails and trout. Troops of Sykes monkeys and black and white colobus monkeys are to be seen in the forest. Of over 500 species of birds that occur in the Arusha area over 200 can be observed around Ngare Sero forest, lake and beautiful gardens. 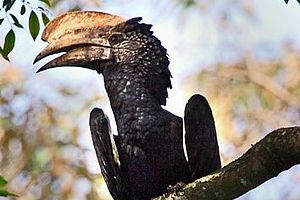 Our bird list includes 16 species of herons, fish eagles, hornbills and many others. 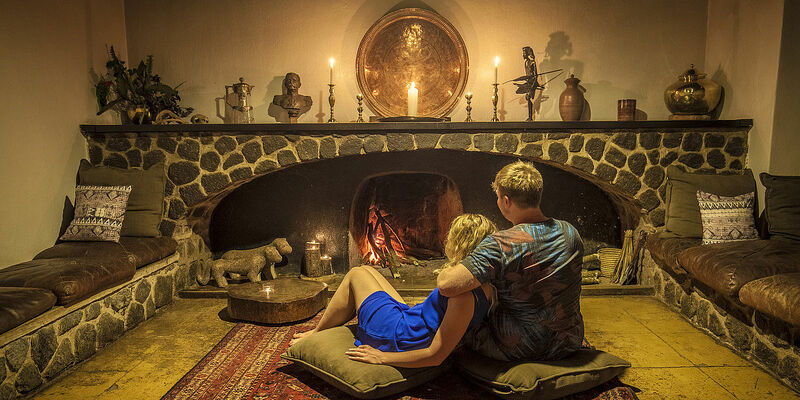 Ngare Sero Mountain Lodge is one of the oldest family lodges in Arusha. Acquired by Mike & Gisella Leach more than 40 years ago it is now managed first by their son Tim Leach & his wife Katya. The lodge offers only 10 garden rooms, 2 pool cottage and 3 farm house suites and provides personal service for its residents since 1973. A rare luxury nowadays – we know exactly where our food comes from. 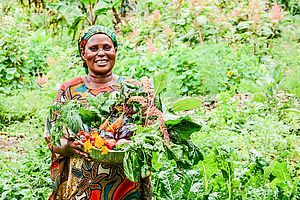 Ngare Sero offers farm-to-table experience where delicious home-cooked meals prepared daily from fresh vegetables & herbs from our organic garden and locally sourced produce. 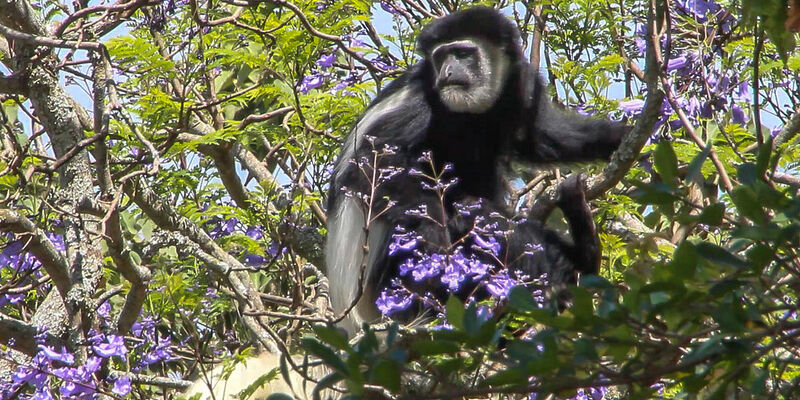 Here you can spend the days amid nature, watching the changing colors of the Kilimanjaro glaciers while sipping drinks on the verandah or hiking in the forest inhabited by colobus and Sykes monkeys as well as hundreds of small animal and bird species. Enjoy swimming in the 30 meter pool or fly fishing in the cool waters of the clear lake, horse ride under the tree canopy or treat yourself to a Garden Spa after a long journey or an international flight. Set in lush gardens amid forest and crystal clear waters on the slopes of Mount Meru, Ngare Sero Mountain Lodge is a wonderful place to relax and simmer in the immense beauty of East Africa. 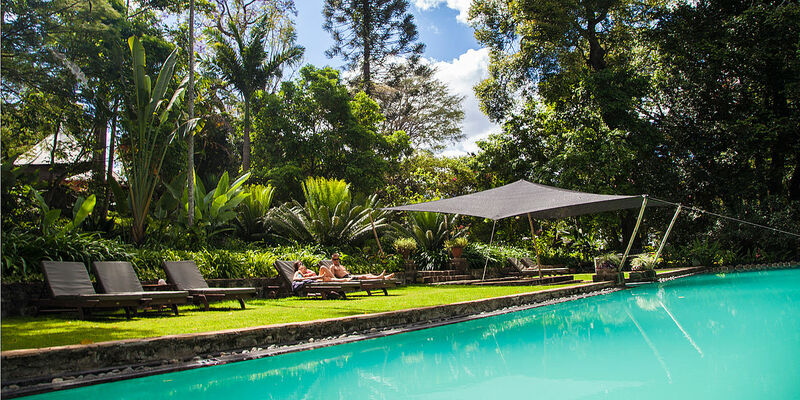 The Lodge has been adapted from an early colonial farmhouse built in the early 20th century and it is one of the oldest family lodges in Arusha. It offers 10 Garden Rooms, 2 Main House Suites and a Farm Cottage with 3 bedrooms. Ngare Sero has been providing personal service for its residents since 1974. Here you can spend the days amid nature, watching the changing colors of the Kilimanjaro glaciers while sipping drinks on the verandah or hiking in the forest inhabited by colobus and Sykes monkeys as well as hundreds of small animal and bird species.The Lodge is located only 30 minutes (20 km) away from Kilimanjaro International Airport and Arusha town centre and it is a perfect base while on safari in northern Tanzania. 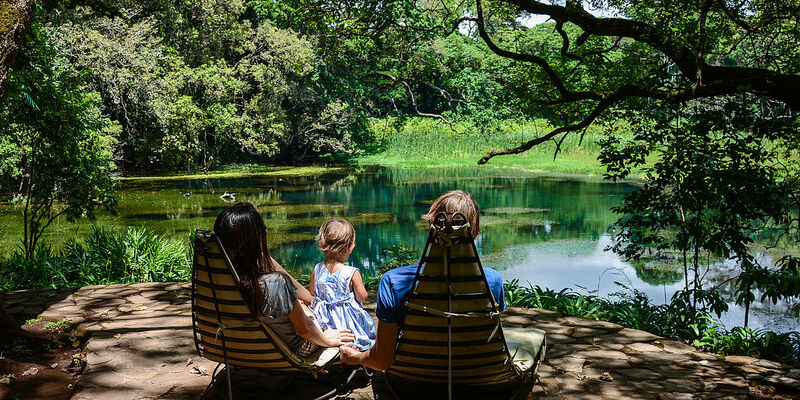 You can either relax among the lodge grounds amid the peace and serenity we offer, or partake in the myriad of activities to enhance your stay at Ngare Sero Lodge. 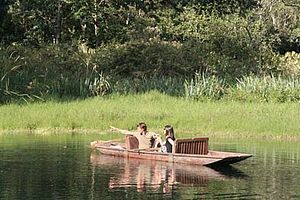 Ngare Sero has been outfitting private travel experiences in the African bush since 1984. 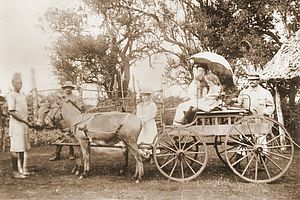 We specialize on individually crafted journeys with distinctive personal service. 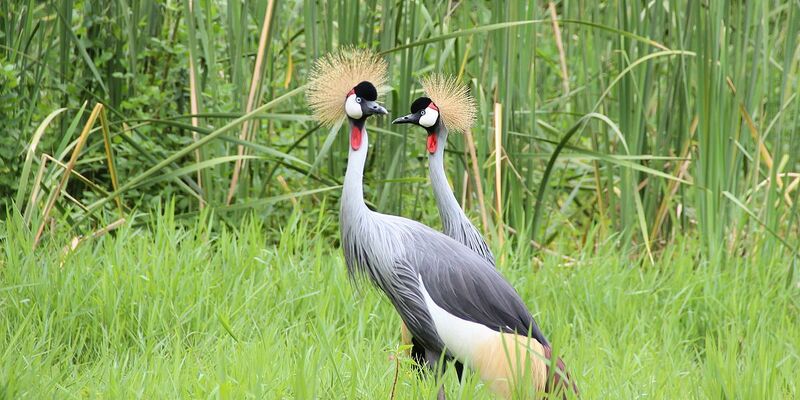 Of over 400 species of birds that occur in the Arusha area over 200 can be observed around the Ngare Sero forest reserve, lake and beautiful gardens. 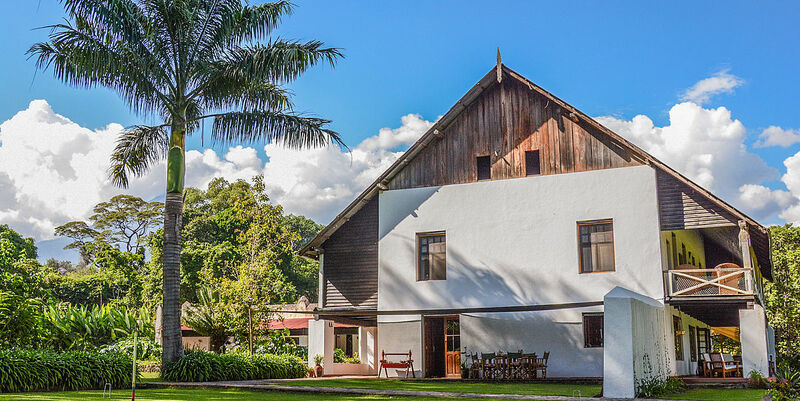 The Lodge has been adapted from an early colonial farmhouse built in 1905. 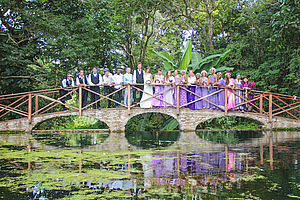 It is one of the oldest family lodges in East Africa and provides personal service since 1973. Located in a small forest reserve with a rich flora and fauna, Ngare Sero Lodge aims to set an example for environmentally friendly and socially responsible tourism. 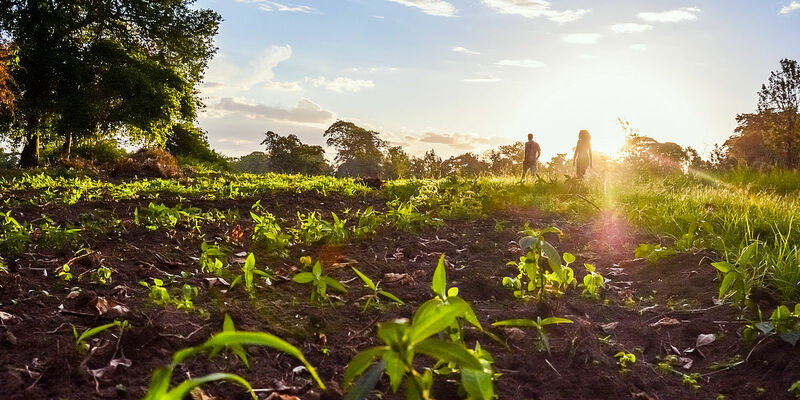 From forest, water & community projects to organic gardens and farm-to-table experience for our guests. Find out what we mean when we call ourselves an ECO-lodge. The tranquil atmosphere of lush Ngare Sero gardens, grass lawns & lake and forest views make it an exceptional venue for intimate family celebrations or grand receptions. 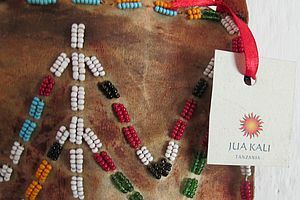 If you are looking for responsible gifts for your loved ones - visit our JUA KALI CRAFTS boutique that represent eco-friendly businesses all over Tanzania & supports local artists.